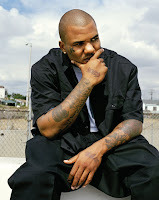 JUICY-NEWS: The Game To Quit Music? The Game To Quit Music? He tells AllHipHop.com, "I think three classic albums are good for me, you know? I got my point across. I was a prominent figure on the West Coast and a bigger figure in hip-hop as a whole. I think I made my impact enough for my name to be said and remembered." "Right now I'm taking a break from Hip-Hop and enjoying time with my family and my friends." (Starpulse News).